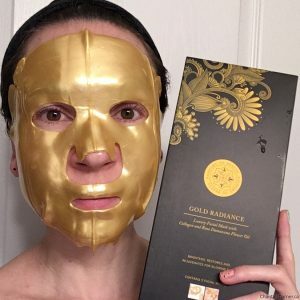 You’re going to start seeing a lot more sheet masks around here because I’ve been ramping up my mask game lately (highly influenced by the queen of sheet masks, Jayne of Cosmetic Proof). 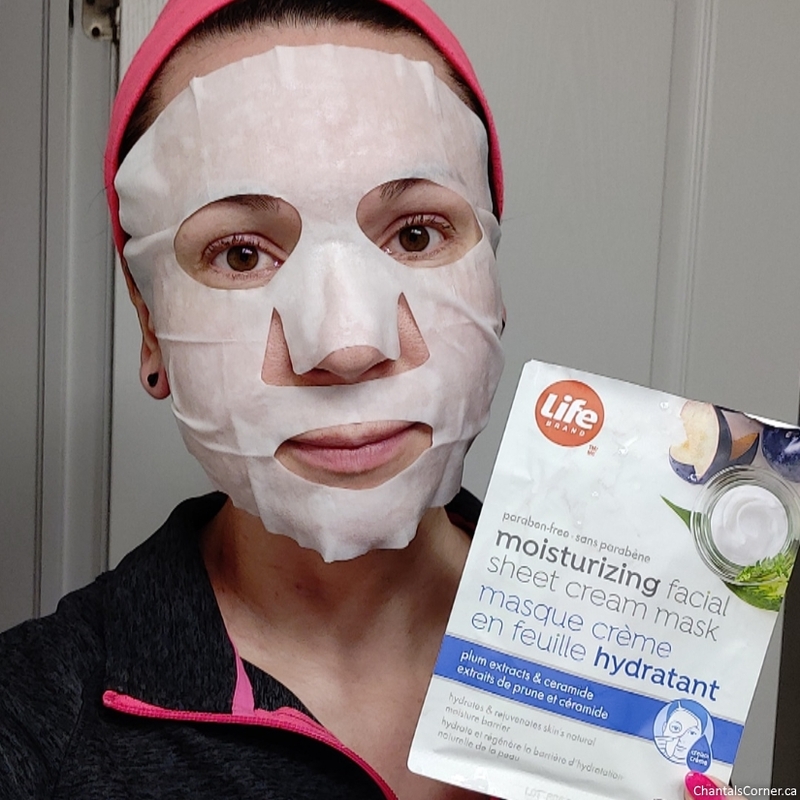 Today I’m sharing with you the two masks I did last week which both happen to be from Life Brand. 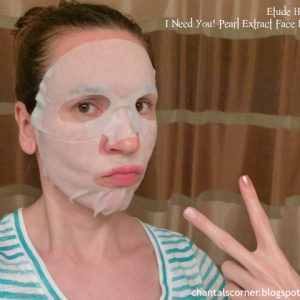 I tried their Moisturizing Facial Sheet Cream Mask and their Nourishing Facial Sheet Cream Mask. I’ve tried quite a few sheet masks before, but never a cream sheet mask so these intrigued me. The first thing that struct me about these masks is their strong floral scent. I did the Nourishing Facial Sheet Cream Mask first and it’s a good thing that I did because the Moisturizing Facial Sheet Cream Mask smelled even stronger and would have totally turned me off from trying the other one. 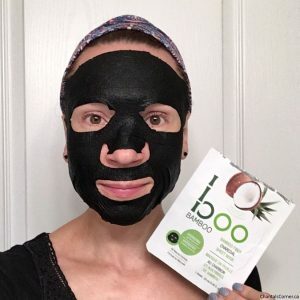 In fact, the scent of the Moisturizing mask was so strong that after ten minutes I had to take it off, I couldn’t stand it anymore. 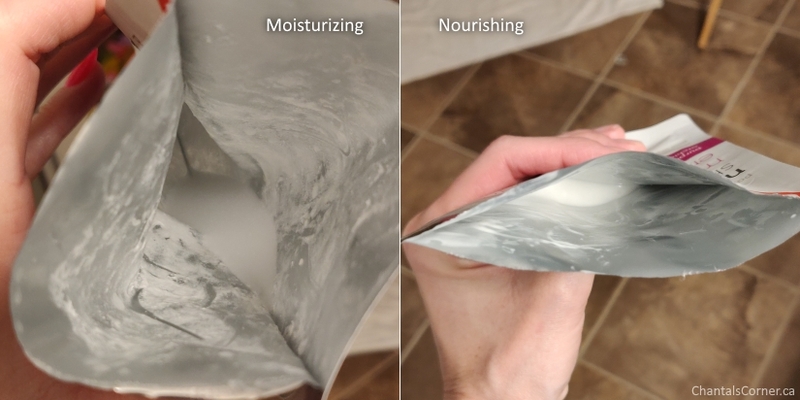 The essence of the Nourshing mask was creamier than the Moisturizing mask. It’s like the cream of the Moisturizing mask seperated or something and it was more watery. The fit of the masks was good, but they could have been longer under the chin. The Nourishing mask adhered better to my skin because of it’s creamier essence. 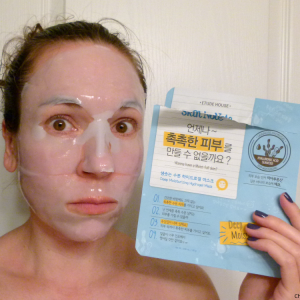 The masks felt good on my face, but there was something different about the Moisturizing mask. It’s like I could feel it… it wasn’t burning or uncomfortable, but there was just something about it. The instructions say to keep these on for 10-15 minutes. The Nourishing mask I kept on for a little over fifteen minutes, but I removed the Moisturizing mask after ten minutes as previously mentioned. With both masks, once removed I massaged the remaining essence into the skin. My skin felt good. I then followed up with my night time moisturizer. There was very little tackiness to my skin. I do have to say that my face seemed a little more red than usual the day after I did the Moisturizing mask (that’s the one where I felt something). So I’m guessing that my skin was not liking that one. 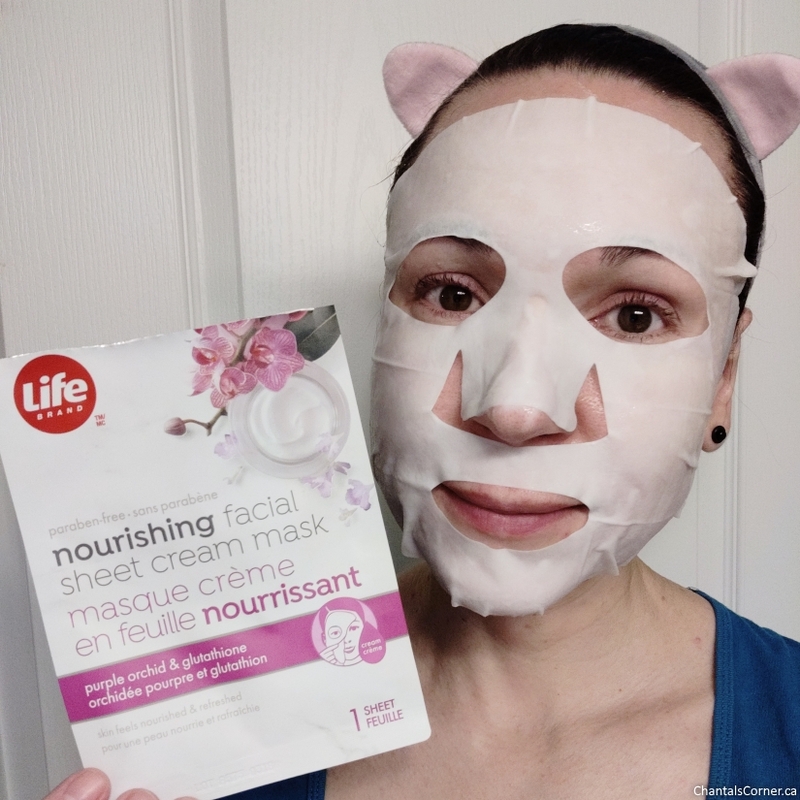 These masks didn’t wow me and I’m not interested in trying the other masks from Life Brand‘s facial sheet cream masks. They do have other sheet masks that are not cream based so I will give those a try eventually, and I’ll keep you posted once I do. If you have sensitivities to scents then STAY AWAY from these masks! The scent from the Nourishing mask I could tolerate, but it was still strong. The Moisturizing mask however is a strong PASS. 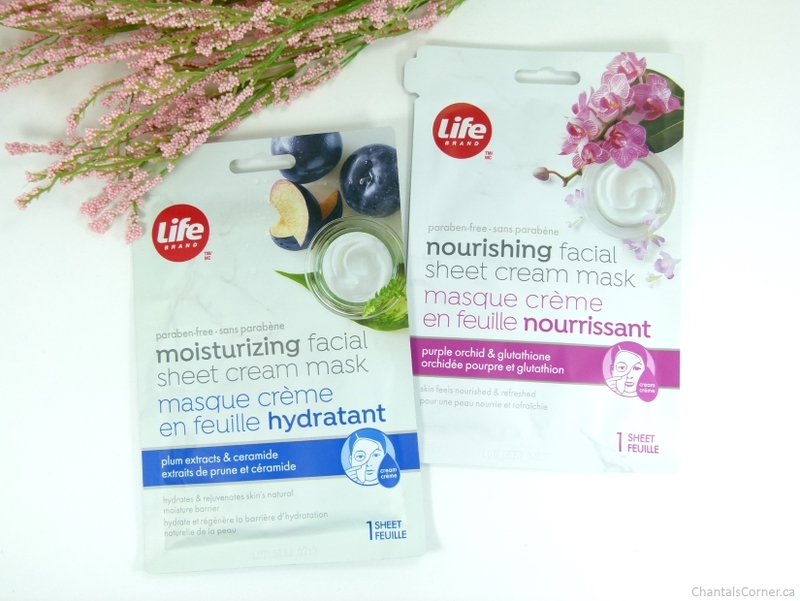 Have you tried these cream sheet masks from Life Brand? If yes, what did you think about them?